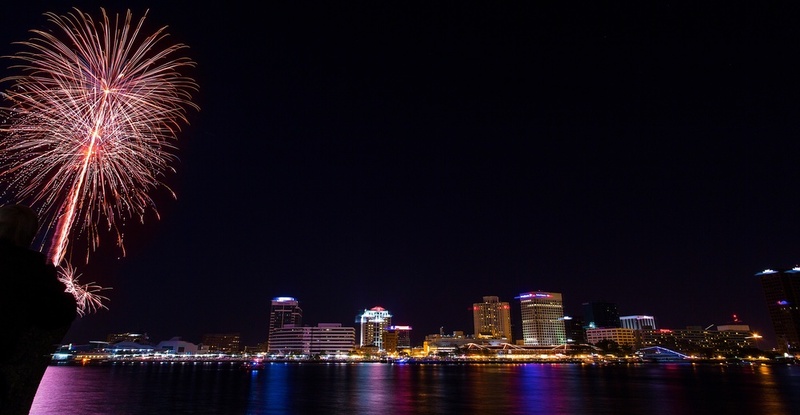 Independence Day is a time for vacations, food, fun, and fireworks! Like most Americans I prefer the first three before the latter, but firework shows can provide any photographer with a great series of captures. Unfortunately, shooting fireworks can be a little tricky, especially for someone who has little to no experience doing so. But why is something so fun so difficult to capture? 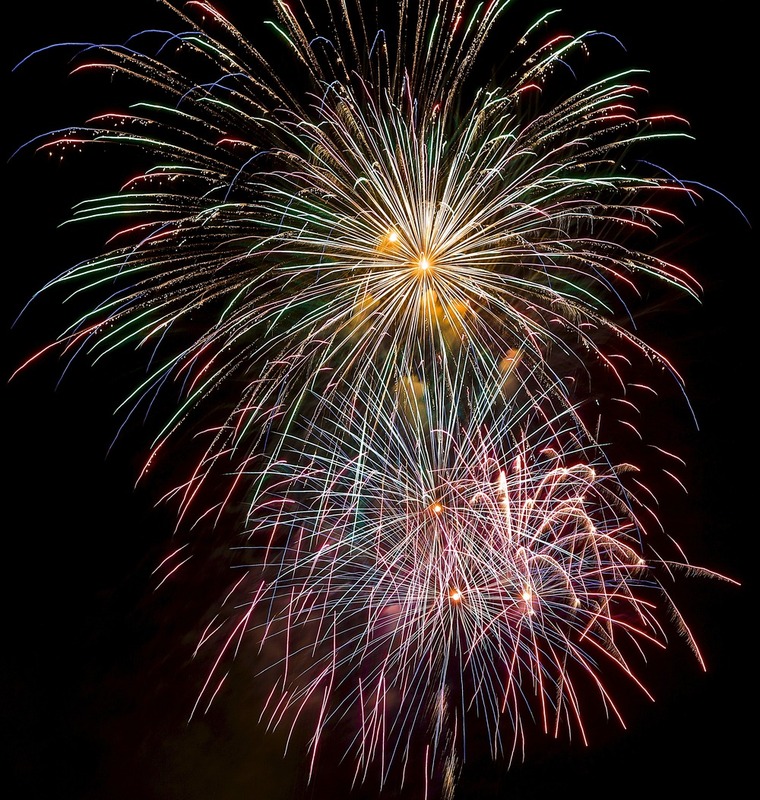 Below I have posted a few pictures of local firework shows and some tips to help you when shooting fireworks. Enjoy! 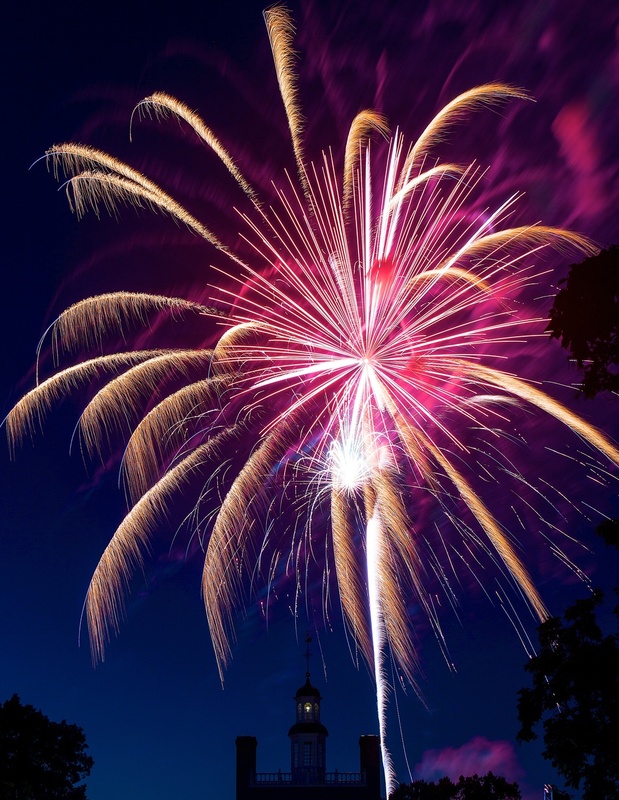 Survey the location and frame your photo prior to the show: There is absolutely nothing wrong with an isolated picture of the fireworks, but you can add more flare to your photographs with the surrounding scenery. 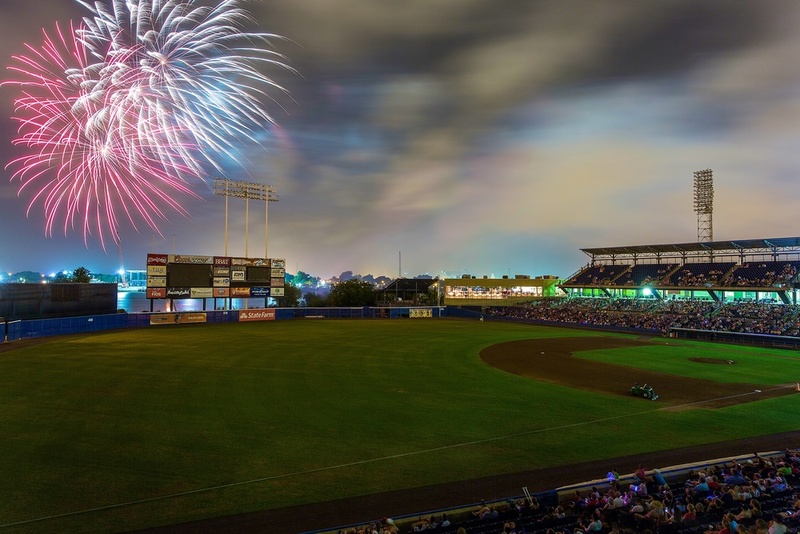 Try to locate the setup prior the show and frame your shot around the fireworks. Focus on a fixed focal point and use a small aperture (between f/8 and f/16) to increase your depth of field. Be careful of your surroundings: You do not want to shoot in a place where anything might obstruct your view, nor do you want to obstruct anyone else’s view. 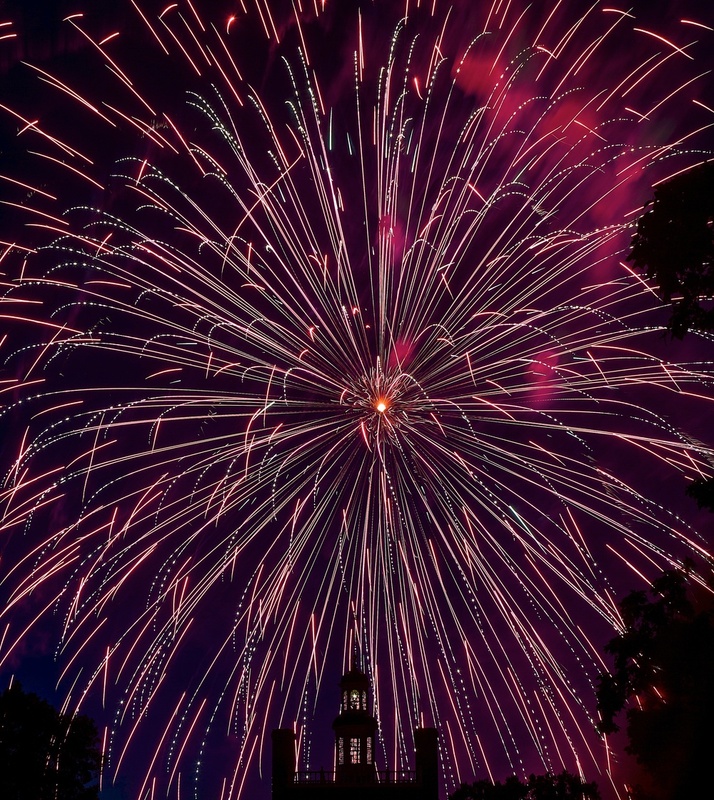 Shooting at a higher point can be a great advantage when photographing fireworks. 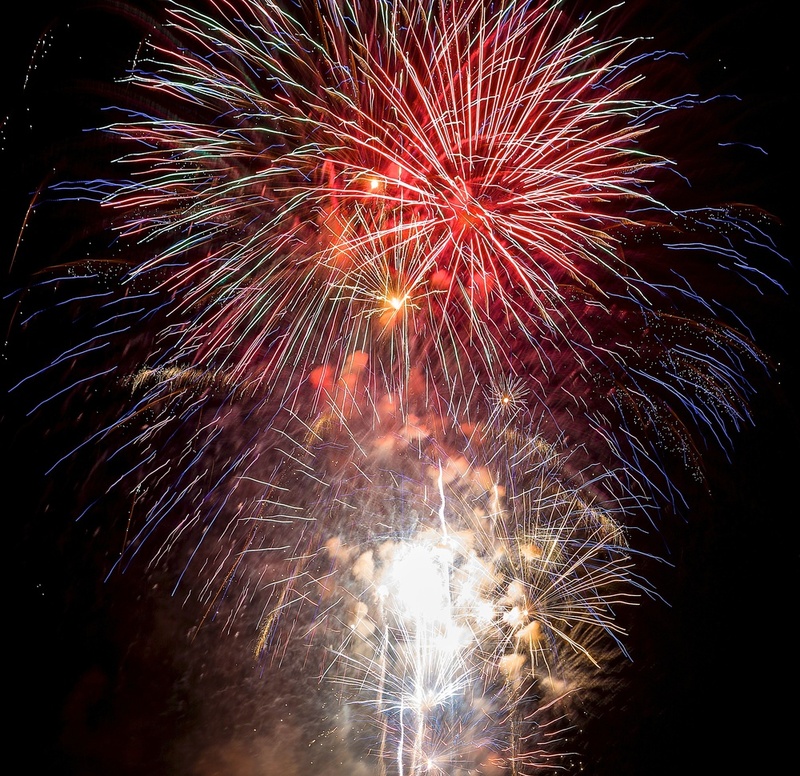 Use a tripod: It is almost impossible to properly shoot fireworks without a tripod due to the long shutter speeds needed. Shoot in a low ISO: Shooting at a low ISO will allow you the necessary time to shoot fireworks and decrease any grain (noise) in your photo. If possible, use a shutter release remote to decrease the chances of camera shake. If you do not have a shutter release remote, you can also use the timer on the camera to prevent/decrease the chances of camera shake. Once you have framed your photo, turn off the auto focus (as well as the image stabilization or IS) on the lens. This will prevent the camera from searching for new focal points between shots and waist critical time between fireworks. The first method is to use the bulb mode on your camera. The bulb mode allows you to keep the shutter open for as long as you hold down the shutter button (or button on the cable remote). Ideally you want to use a remote when using this method to decrease any chances of camera shake. Understand that timing is the key! 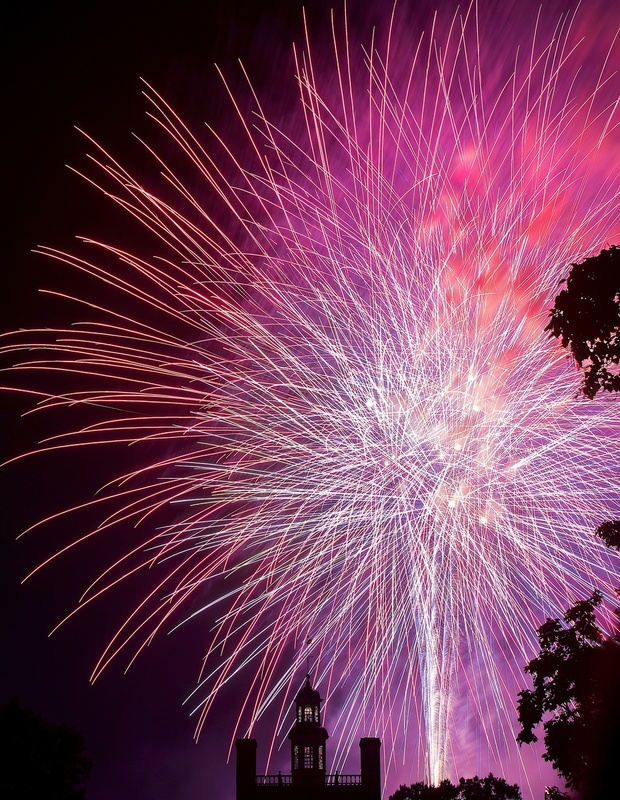 You should anticipate the explosion of the firework and open the shutter (by pressing the button) right before the explosion, keeping the shutter open until the firework is finished exploding. Do not keep the shutter open for too long! Fireworks are a good source of lights and a long shutter speed can over expose the fireworks, washing out the colors of the explosions. The second method is to use the manual mode on your camera. From past experiences I have noticed that the best settings are somewhere between f/8-f/16 and between five to seven seconds. I usually start with f/8 and five seconds and make any necessary adjustments between explosions. You should not use the aperture or shutter priority modes. Shooting in aperture priority mode can mislead the camera to use a shutter speed that is too long. Shooting in shutter priority mode can mislead the camera and change your depth of field.